The band had already called off concerts over the past week. They had hoped to reschedule some gigs but decided to cancel the final shows on their North American tour. That includes four US concerts and two shows in Canada. The band has said Nick is suffering from exhaustion or a possible viral infection. 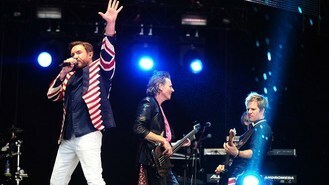 A message on Duran Duran's website said: "Nick held out all week, hoping that he would be well enough to perform again for these final few shows, but unfortunately the medical advice he has been given today requires him to continue to rest."